Welcome to this mystical event to benefit Relay For Life. Aloha auinala! In Second Life we have the opportunity to experience different cultures and go to places where cancer affects us but we normally will not hear of it. So today, I invite you all to sit back… dig deep into your pockets…. and enjoy this amazing performance put on by the dancers of the Mynx Dance Center. This center is led by the Amazing Taema and Kyser Mynx. 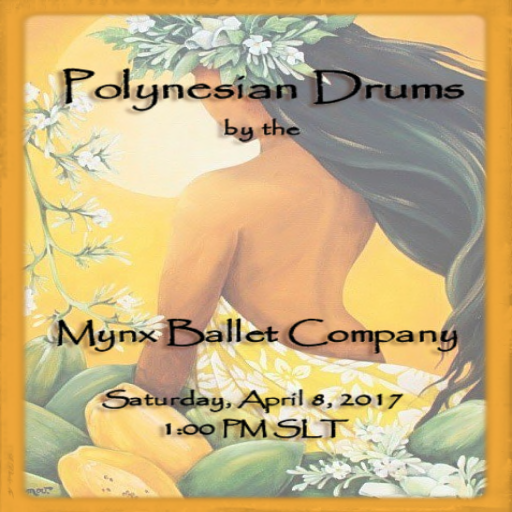 The Mynx Dance Center is sailing on a spectacular cruise to experience the incredible magic of the Polynesian culture. Our ports of call on this trip are: Hawaii, Samoa, Tahiti and New Zealand. We will be criss-crossing the Pacific Ocean. I do want to add in a little Disclaimer – Our Polynesian dances are not wholly authentic due to the very limited animations available for this style of dance. However, we believe we are delivering the flavors and diversity of the islands. Now you might see some pauses in the dancing, this is actually part of the dance and not lag or something. Each dance is choreographed as close to authentic as can be for our limitations. This entry was posted in American Cancer Society, Relay For Life of Second Life, Second Life, Team Events and tagged ACS, American Cancer Society, Awareness, Cancer, caregiver, Donate, Donation, Events, Fundraiser, Inspired Dreamwalkers, Inspired Dreamwalkers RFL, Relay For Life, Relay For Life of Second Life, Relay For Life of Second Life: Passport to Hope, RFL, RFL of SL, RFL of SL 2017, survivor, Team, volunteer. Bookmark the permalink.